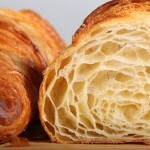 You are here: Home / Bread baking tips / The myth of double in size +tips! The myth of double in size +tips! twice as large, heavy, strong, etc. ; twofold in size, amount, number, extent, etc. 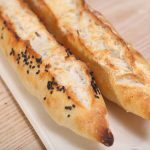 In lots of bread baking recipes you will encounter a line like this; ‘Let shaped dough rise until it has doubled in size’. The scientist in me always wonders what the recipe writer means. Does the writer of the recipe realize that a round shape, for instance the shape of a boule, increases 8 times! in volume when the boule doubles in diameter. 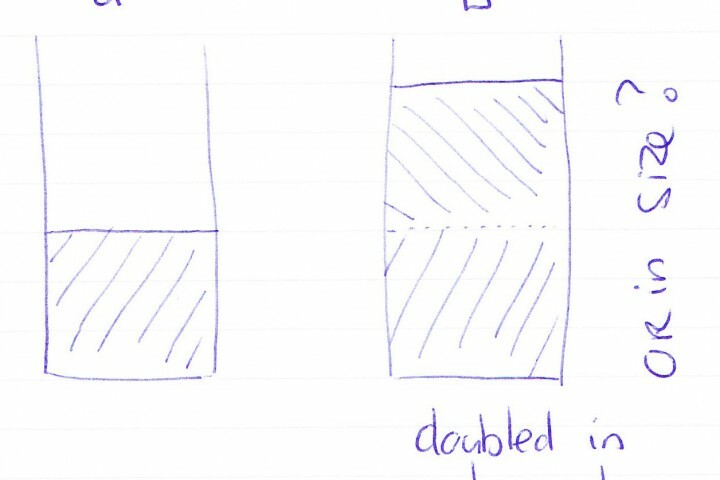 What does ‘double’ (or even ‘almost’ double!) mean in the context of a piece of dough in whatever shape? Twice the diameter? Twice the volume? Twice something? And what about the word ‘size’, size is not a measurement of anything, size can mean volume, height, weight, etc. all depending on the context. So what does ‘size’ mean in the context of a piece of dough? According to a dictionary ‘double’ means ‘twice the size’, so double in size means; twice in size size. What I do know is that the line ‘rise until it has almost doubled in size’ reads like sheer laziness of the recipe writer! the size of a farm. Imagine a measurement cylinder filled with a piece of dough. When you let the yeast do its job this little piece of dough will grow inside the cylinder. As for the dough the only way is up it will slowly fill the cylinder and it is really simple to see when the dough has doubled in volume. It will be when you read twice the number on the measurement cylinder than when you started! What has doubled in this experiment is the volume. Now imagine a piece of dough shaped in a boule. And again we let the yeast do its job and the dough will grow and grow and grow. When will this piece of dough be ‘doubled in size’? With the cylinder it was very easy to see when the volume has doubled but with this round ball shape it is much harder to see when the volume has increased twice. 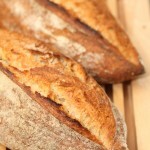 With a batard shape it is even harder to imagine the real mathematical or geometrical truth. Another mind game. Take a nice lime (the fruit) and imagine it to grow. When will the lime be ‘doubled in size’? When it is the size of a mandarin, an orange, a grapefruit or a watermelon? It is hard to visualize when a round fruit is ‘doubled in size’ in comparison to another fruit. With this we can do some calculations. When you measure the height of the boule of dough you can use this height with the formula above as the height is mathematically the same as the radius because we have a halved sphere. For my calculations I start with an imaginary boule of dough with a height of 10cm. This gives us a boule of dough with the volume of 2093cm³ which is a little over 2 liters of dough. When you take a boule with a height of 20cm this equals about 16745cm³ which is about 16 liters of dough! So a doubling in diameter equals 8 times the growth in actual volume. The funny thing is you only need an increase of 2.5cm in height to get a doubling of the volume of boule of dough. A height of 12.5cm gives about 4088cm³ of volume which is about 4 liters of dough. The increase of 2.5cm is hard to notice and you will not perceive this as the dough having ‘doubled in size’. After this whole rant I still do not have the answer to what recipes writers mean with ‘wait until double in size’. Do they mean double in volume, double in height, they probably mean something like ‘wait until the dough has increased until you think it is enough’. The important thing during the final proof is to stop before the gluten network collapses. When the gluten can not hold the amount of carbon dioxide produced by the yeast, the little gluten balloons explode and your bread will deflate before your eyes. The first thing is to control your dough temperature. As the temperature has the biggest influence on dough rising speeds, controlling temperature gives you stable proofing times. 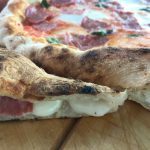 Please read; A Few Tips on Dough Temperature. Because I stabilize my dough temperature, my proofing times are more or less the same each time and this takes the guessing out of proofing- and bulk fermentation times. With your finger gently poke in your dough. If you have a high hydration dough you can first dip your finger in a little bit of flour to prevent sticking. It is hard to explain the difference completely. The best way is to learn from experience. Poke as many proofing loaves as possible, and you will figure out what you are looking for. If you apply the finger poke test immediately after shaping, sometimes the hole stays dented, just as it would if the loaf were over-proofed. You can tell the difference by feel, because when proofed the loaf is light, “bubbly” and elastic, whereas right after shaping the loaf is not elastic. So, proof, poke and bake as much as you can! What is your opinion on double in size? What is your favorite way of testing if your dough is ready for the next phase? We would love to hear from you and learn from your experience. Please leave a comment. I enjoyed reading your perspective on the matter. I have a lot of rye flour left over from when I tried to bake sour dough; I baked pretty solid loaves! Today, I baked with dry yeast in sachets and I hope that I haven’t damaged the dough after taking it out of the warm oven and kneading it for about ten seconds. 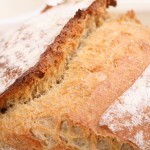 I also included wholemeal flour and white flour. It had certainly doubled in size before I knocked it back…. Hope it turned out OK. We usually use other techniques that handle the dough a little gentle without knocking too much air out of it. Just a question of what you like and what the objective is. 1) the whole proofing until doubled is largely tradition. The author of any such recipe is most likely not presenting this as an unbiased assessment of what they do. They are repeating what they learned and what everyone else says, and I would assume it is at least close enough to what they have learned to do in practice that they either can’t tell it differs, they don’t perceive it as different enough to warrant saying something different, or they aren’t confident enough in their perception of it being different to comment on it. 2) It is easy to judge doubling in diameter. However doubling in diameter strikes me as not realistic. But then I’ve been only making whole wheat bread lately and this does not rise as much as white flour. What do you think? 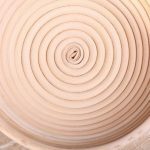 Is proofing dough until double in diameter even possible without out grossly overproofing? If I’m right that it is not, then surely any baker soon learns that they are not doubling by diameter. 3) Most of us don’t have a good sense of what doubled in volume looks like for a shape like this. (I think you made this point also.) So it would be easy for any bread baker who due to tradition is expecting double in volume to assume whatever it is they learn to do from experience as being double. So in my opinion the answer is “volume”, but the perception of it is such that this is misleading. If we did an experiment to arrive what what most people’s sense of what double in volume looked like (with the shape and size of a typical bread recipe), perhaps we would arrive at a “perceived double in volume” that was something larger than true double in volume, and perhaps that would correspond to (or be closer to) what a realistic volume change for properly proofed bread. I would guess this is really the answer, but without such a perception test, there is no, er, proof. Thank you Eric for your disquisition and adding your insight and knowledge to the subject. You are right, tradition is very much key in why this double in size comes back in so many recipes and books. Of course we agree with your words on volume and the finger poking is still not the most elegant way to test the dough, but with lots of practice and experience you really get to know and recognize these signs with each recipe. Wishing you many wonderful loaves, proofed to perfection. I absolutely hate the “until doubled in size” (or volume) instruction in any recipe, it seems like whoever wrote the recipe is simply too lazy to give a proper instruction or relies on the inexperienced baker way too much. Let’s face it, whoever looks for a recipe most probably has never made it before and has no clue of what the process should be like and it’s not surprising as every type of dough, every type of flour will act differently. When I’m asked “how long do I prove?”, I say you have to have an instinct and a basic understanding of the processes going on in dough. How far you want to push it? There’s no formulas, no precise time. The ambient temperature and the humidity will affect your rise majorly, unless you work in a professional bakery with proofing cabinets and identical ingredients day to day (even then results vary). In baking knowledge is precious and experience is irreplaceable, touch and feel your dough, observe every loaf you make, celebrate the beautiful and perfect loaves, and be humbled and learn from your failures. How do you know you do well unless you’ve failed before? My best way of teaching other is telling them to gently press on the dough, you want your dough to be light and airy, have a slight indent in it’s surface after being pressed on, but it still need to show character (fight you back :), be alive and have just enough resistance for a last push in the oven. I believe when dough is proved to its max it doesn’t show as much spring in the oven, that’s why I prefer to leave just a bit of room for the hot air to expand. Thank you so much for sharing your knowledge and experience. We could not agree more with what you write! We think the way you teach this to others is the best way of explaining. We love your bit about ‘just enough resistance for the last push in the oven’! Yes that is the sweet spot to take it to the oven and get that perfect bake. It is wonderful how baking is both an exact science and still needs your intuition, senses, both eyes and touch to get it right. And every day is different, even with the same recipes and batch of flour, there’s never an automatic pilot. And you are right when looking at professional bakers in a controlled environment with all the equipment, you still see a lot of ‘varied results’. Enjoy your teaching and baking! I’ve also read that doubling is a characteristics of some recipes and not others though I’ve yet to fully understand this. The problem I have is when repeating a recipe and I know it should double, but I’ve made a error in the beginning with the levain starter by mixing it a little bit late. This has happened before and I’ve compensated by increasing the bulk, but even with an additional 2 hours it’s not evident that it’s doubled. It was cold overnight in the house, and the dough is cold this morning. My gut tells me that it is not ready to be proofed, but my brain says that the bulk has been long enough (12%, 16 hours overnight). The poke test doesn’t help me when the dough has been chilled because it always feels too tough or pliable. I will either have the trust the recipe and expect the dough to come to life once it warms in the proofing basket, or look to my experience and wait a little more. I will probably go with the former. It might be because I didn’t wrap the dough container overnight so the bottom of the container was sort of insulated against the floor while the sides were not. Looking at the underside of the dough I can see bubbles, but the bubbles decrease rapidly towards the edges and up the sides. I’ve folded the dough into itself one more time and will let it rest 30 min before doing the final shape. We do not know what recipe you are using / making but we have a bit of a hard time following what you are doing or trying to achieve exactly. But we do have a feeling yo should be patient with your (cold) dough and give it the time it needs to develop and proof to its desired size. Hi I have a question let me put it as a layman I want to start no knead artisan bread bakery ,so let’s say am using 1kg of flour ifollow all the procedures after six hours I’ll the dough weigh 2kg ?then i transfer to baking containers each 200grams will it be able to double again giving me a final rise of 400 grams before i bake? Sorry, we do not understand your question exactly. Dough does not really increase in weight because it rises / proofs, it stays more or less the same, it just increases in volume, due to the air trapped in the dough. Hello. This was fascinating, although I admit that my eyes glazed over for the mathematical parts. Since you say it doubles based on volume, could I simply measure the side of my proofing bowl (really my salad bowl) with the dough in it and use a measuring tape to show when that number is doubled?